Inspired by Rudolf Steiner’s Waldorf education principles, the holistic approach that guides the Jungle School holds that children need to discover the world through their hands, head, and heart. 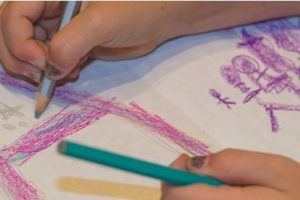 Emphasizing the importance of a daily rhythm and creating a supportive environment for the children’s developing physical, emotional, and mental bodies are key to the cultivation of inspiration, confidence, curiosity, and a love of learning. The Waldorf inspiration is also manifested in the choice of toys, teaching materials, stories, daily activities, and other aspects of the School. The PachaMama School is supported by professional and qualified community residents’ and parents’ ongoing cooperation and trust. 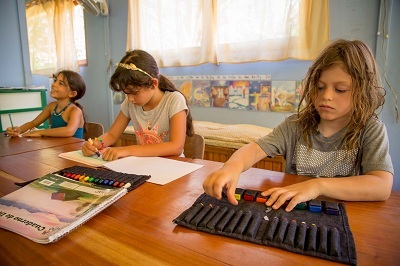 The PachaMama school supports a wholeness of being by allowing each child’s spirit to flower. Becoming conscious of mother earth, contributing to a harmonious, sustainable relationship with nature and community. Nurturing curiosity and creativity in order to explore our changing world with an adventurous and compassionate heart. Please have a look at our school presentation (with photos of daily activities). A one-year minimum stay is required. Children visiting for shorter periods can enroll in the Forest Class program for visiting children, available daily, weekly, or monthly. Pricing depends on the child’s length of stay, please email the Jungle School for more information.